- There were two main Russian efforts, one through primarily through social media and the other via email hacks disseminated through intermediaries such as WikiLeaks, to interfere with our election. If we accept Mueller's investigation, the claim that there is uncertainty about who interfered with the election and on whose behalf is false. - Mueller did not find that Trump or those with his campaign conspired or coordinated with Russia to interfere with the election. - Mueller found a list of actions under the part of his investigation into obstruction of justice but did not reach a prosecutorial decision. Mueller explicitly did not exonerate Trump of obstruction. Trump's appointed attorney general and Deputy Attorney General Rod Rosenstein decided it was not sufficient to establish that an obstruction-of-justice offense occurred. - What was the series of actions that Mueller looked at when investigating obstruction? - Why did Mueller decide not to opine one way or the other on obstruction? - Did he find a preponderance of evidence of obstruction? - Why did Barr and Rosenstein conclude there was no obstruction-of-justice crime? - Did Mueller not find evidence of coordination/conspiracy, or did he rule it out (disprove it)? - What explains all the Russian contacts? - What financial incentives, if any, did Trump have to favor Russia? - Did the Russian government attempt to cultivate Trump as an asset or have leverage over him? - Why did Michael Flynn lie about Russia contacts? - Why did the president wait so long to fire Flynn? - Did any of Trump's family members or associates lie to Congress, and if so, why is there as yet no indictment? However, in a major respect, Barr's action in declaring no crime of obstruction is inexplicable. Because it is the Justice Department's position that Trump cannot be indicted as a sitting president, there is no requirement - indeed, it is inappropriate - for Barr to weigh in. The job is up to Congress, according to Barr's own department guidelines. 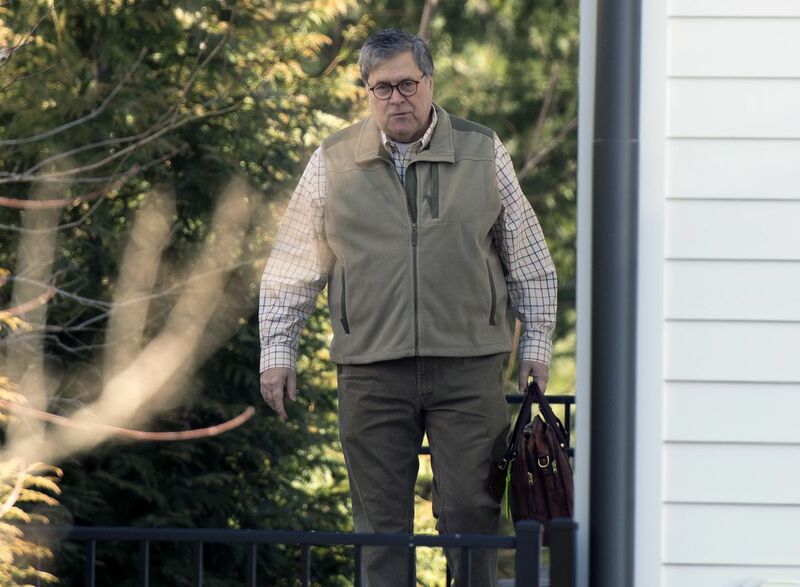 Suspicions about Barr's willingness to clear the president, based on a memo he wrote to the Justice Department before being nominated as attorney general, look well-founded. One more observation is in order. If the investigation into Hillary Clinton’s emails had been handled exactly the same way - saying they found no evidence a crime was committed - public reaction and even the outcome of the election could have been far different. For that, former FBI director James Comey will have to answer to history.